Following multiple losing football seasons, Texas State students, alumni and fans took to crowdsourcing to call for the firing of Athletic Director Larry Teis. A GoFundMe was set up Sept. 26 to get a banner flown over Bobcat Stadium an hour before the Oct. 27 homecoming game between the Bobcats and the New Mexico State Aggies. According to organizers who shall remain anonymous to protect their identities, the movement stems from alumni, students and fans’ frustrations with the program’s stagnancy. Currently, Bobcat football has a 2-6 record, and head coach Everett Withers, who was hired by Teis, has an overall record of 6-26 with the program. Through social media, the movement’s many Twitter pages have cultivated a slim following, including @TXST_FireTeis, which has 192 followers. With #FireTeis, #CutTiesWithTeis and a slew of other hashtags, the account gained enough traction to crowdsource 19 donors to donate the $700 to pay for the banner. Teis has been Texas State’s athletic director since 2004. Prior, Teis was the director of athletic marketing at Texas Christian University for four years and the assistant director of New Mexico’s Lobo Club for three years before that. Teis was unavailable for direct comment due to prior engagements and meetings with donors and members of the President’s Cabinet. However, he said he understood the fans’ frustration. At $325,000 a year, Teis’ responsibility is to work with the athletics department and other areas on campus to make Texas State as successful as possible in NCAA compliance, academics, finances, competitiveness and “many other areas,” according to Teis. However, this is not the only job of an athletic director, especially at a campus the size of Texas State. In addition, Teis is expected to be the front man and promotional director for Texas State and its athletic department as a whole. In an email response to the Star, Teis stated the football team is under the most scrutiny and, while not fruitful at the moment, other programs within the athletic department are doing well. The #FireTeis movement has also pointed out that of the winning programs at Texas State, there were winning coaches already in place when Teis took the job. As a result, he has been able to “pad his stats” with coaches that he inherited, according to FireTeis.com/performance. The inherited coaches included the head coaches from baseball, volleyball and soccer, the three most-winning sports at Texas State. In December 2015, a separate group of Bobcats made the Texas State Fans for Change GoFundMe, asking for $60,000 in donations to help promote the same idea as #FireTeis. Specifically, the movement wanted to raise the money to have billboards, flyers and signs around San Marcos, along with money to help pay for an interim athletic director until Texas State hired a replacement. The campaign failed to raise a significant amount, falling almost $59,000 short. Will Butler, a Texas State alumni and Bobcat football fan, said he pulled all his financial support to Texas State athletics because of the movement. As the movement has gained traction over the last few weeks, members of the group have faced the university’s repercussions to the demonstration. Twitter user @O_omynsx, a Texas State alumni involved in the Fire Teis movement, was removed from the University of Louisiana at Lafayette home game Oct. 6 when he flashed a “Fire Teis” sign at the top of Bobcat Stadium. The way @O_omynsx was treated for his demonstration marked the fear many donors and supporters have of the athletics department. Many Texas State donors and supporters use false names and burner accounts on Twitter to keep anonymity and still be able to talk about what they feel are shortcomings of the athletics department. Everyone interviewed for this article was at one time or is currently a donor or season ticket holder. 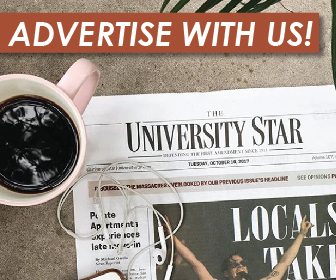 The University Star will continue to provide updates as they become available. Maybe it would be worth reporting on the things that have happened since Dr. Teis has been athletic director? New Facilities, Conference changes, the jump to FBS. The football team was bowl eligible one year under Coach Fran but no bowls selected us because of our lack of fan support and they didn’t think we would travel well. Since Larry Teis has been AD the name Texas State has drastically grown in popular, instead of just being regional known. Yes football is not winning but both basketball teams are coming off good years with post season play and other sports like Softball, Soccer, Volleyball have great records over the last few years. There are 2 sides to the story here and I think both are worth covering.